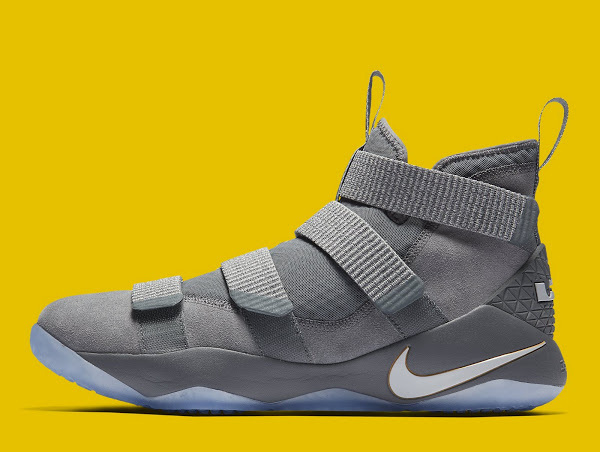 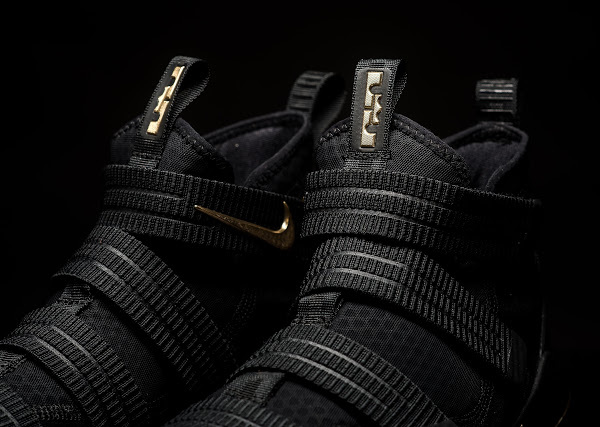 The Nike LeBron Soldier 11 has just been released in the so-called Court General colorway. 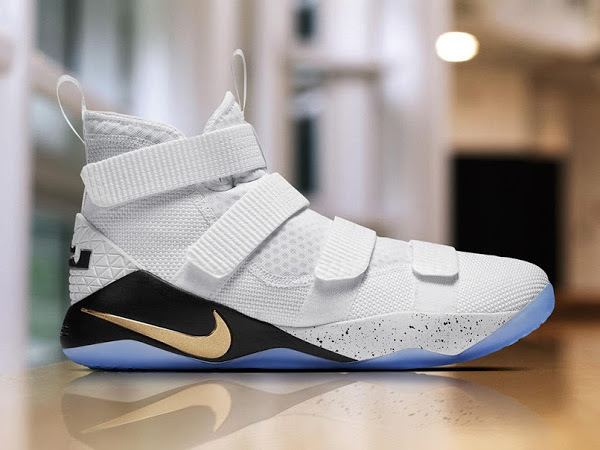 Joining the Prototype version that released three days ago this White, Black and Gold implementation of LeBron James’ secondary signature series reminds me of the Elite look that Nike used do exclusively for the Playoffs. 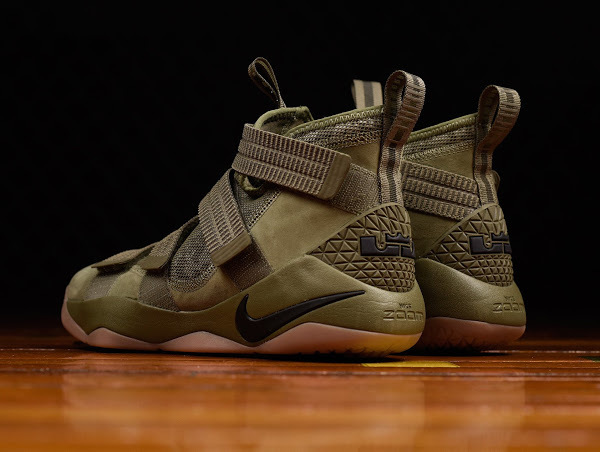 The LeBron Soldier XI features an innovative 4-strap lockdown system for secure and customizable fit with the trademark Heel and forefoot Zoom Air units for cushioning. 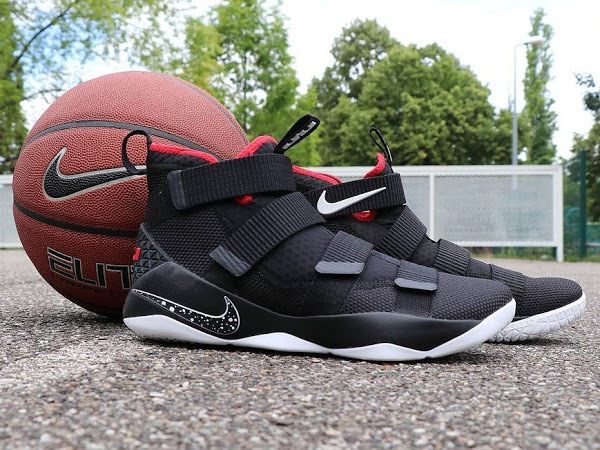 Additionally a compression bootie provides comfort and support from within, but similar to the current standard it provides a challenge to put on. 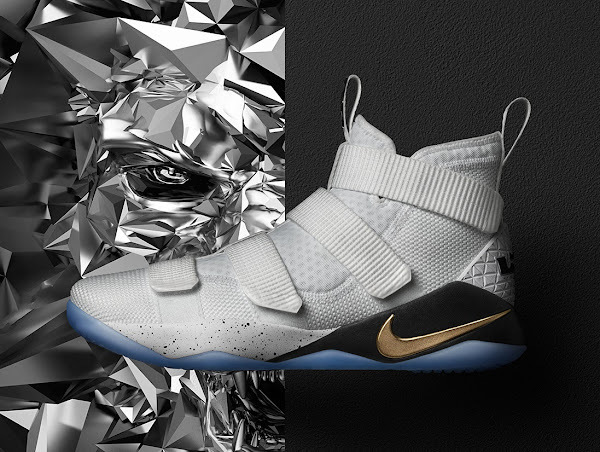 I still believe we’re going to see more of these in the NBA Finals… last year it was Game 3 when King James decided to switch kicks.